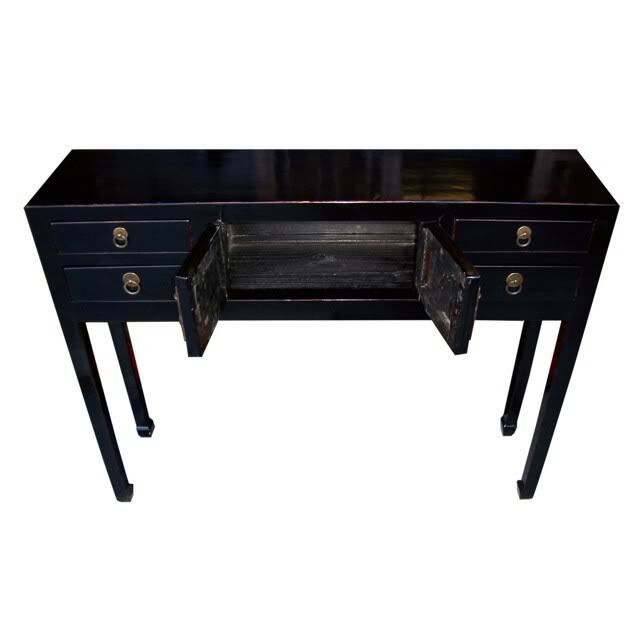 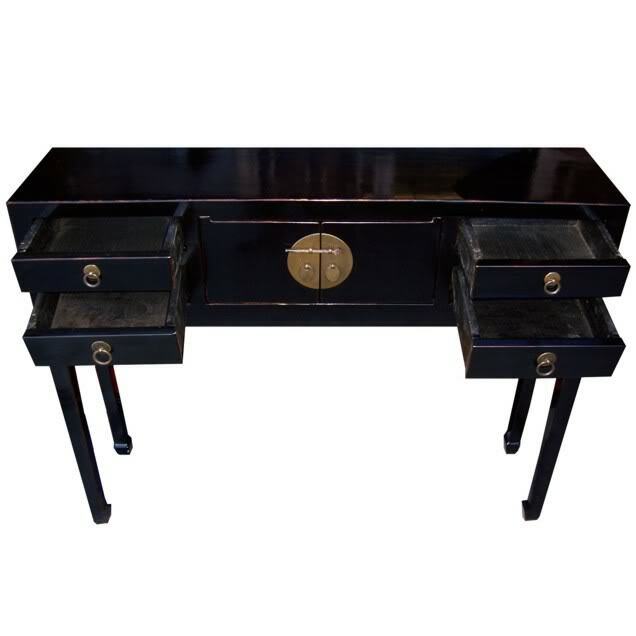 This black lacquer Chinese ladies cabinet , also called dressing table is inspirited by the Ming period. 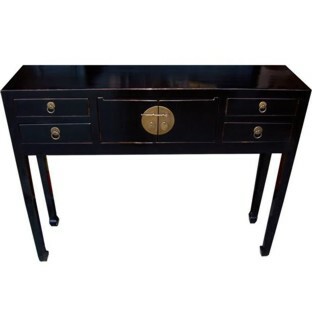 This fine reproduction uses the simple and elegant lines of traditional Chinese furniture. 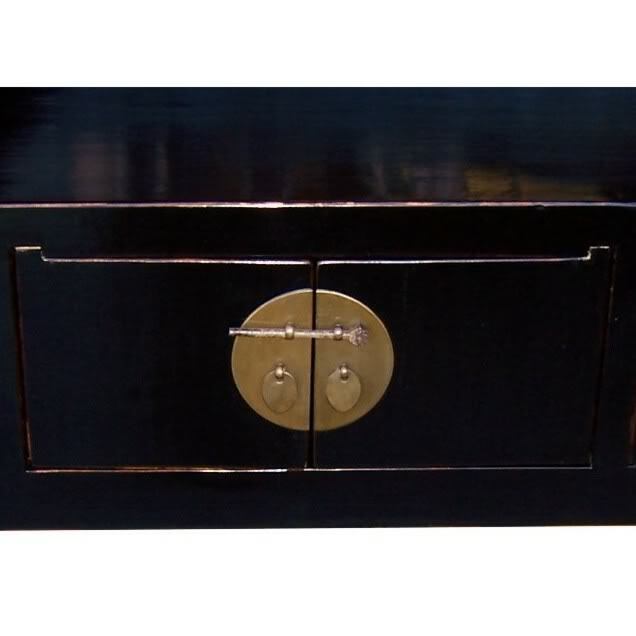 Ladies cabinets are on display in The Forbidden City, Beijing and were originally used in the bedrooms of the Chinese court as a ladies dressing table. 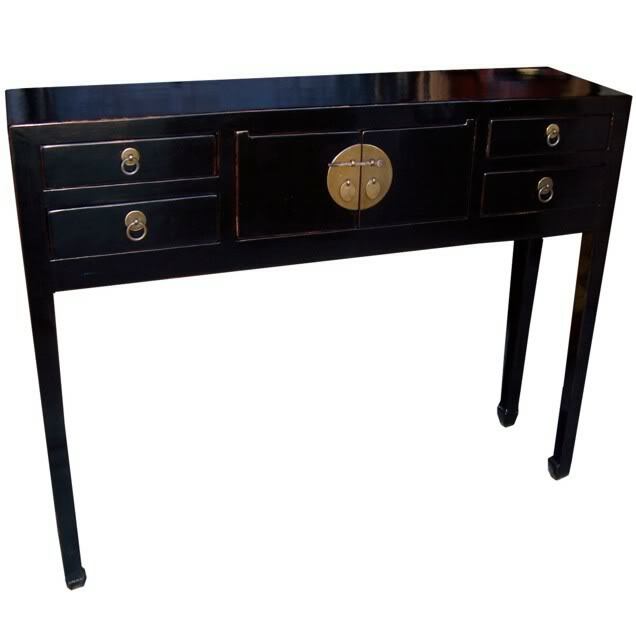 Our versatile Oriental solid wood console makes perfect storage as a hallway table or narrow table. 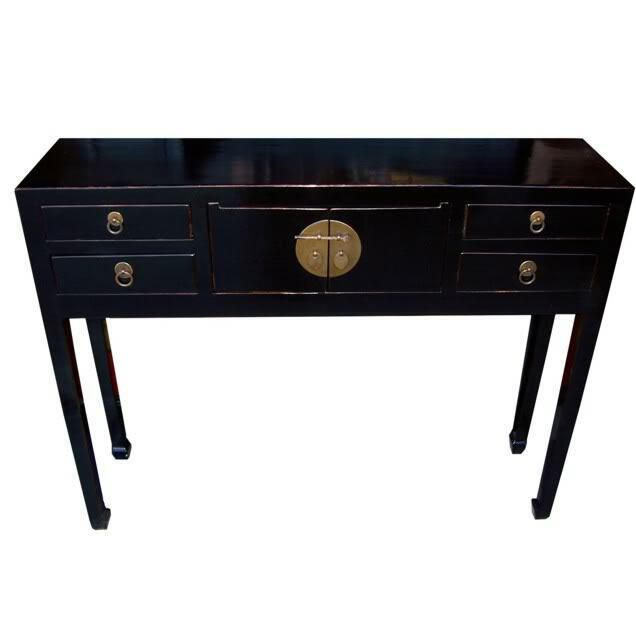 Featuring a small circular brass 'Togetherness Panel' on each cupboard with sliding lock and pretty ornate handles, this Chinese ladies cabinet would also make an elegant occasional table.